The Venus flytrap is an intriguing plant that is in trouble in the wild. Like other plants, it has chloroplasts and makes food via photosynthesis. It also traps and digests insects to supplement the low concentration of nitrogen in its boggy habitat. The plant's ability to lure its prey into its trap and the rapid closure of the trap doors are fascinating for many people. The appearance of the empty husk of an insect when the trap opens up is impressive evidence of the plant's digestive power. Wild Venus flytraps are found only in North Carolina and South Carolina in the United States. The population is classified as vulnerable by the IUCN (although the organization says that a status update is needed) and is facing some serious stresses. In October 2016, botanists from the University of Wisconsin-Madison announced that they had filed an emergency petition with the U.S. Fish and Wildlife Service. The petition asked for the Venus flytrap to be classified as endangered. It was accepted in late 2017 and is still active. Unfortunately, the government appears to be moving slowly with respect to the petition. 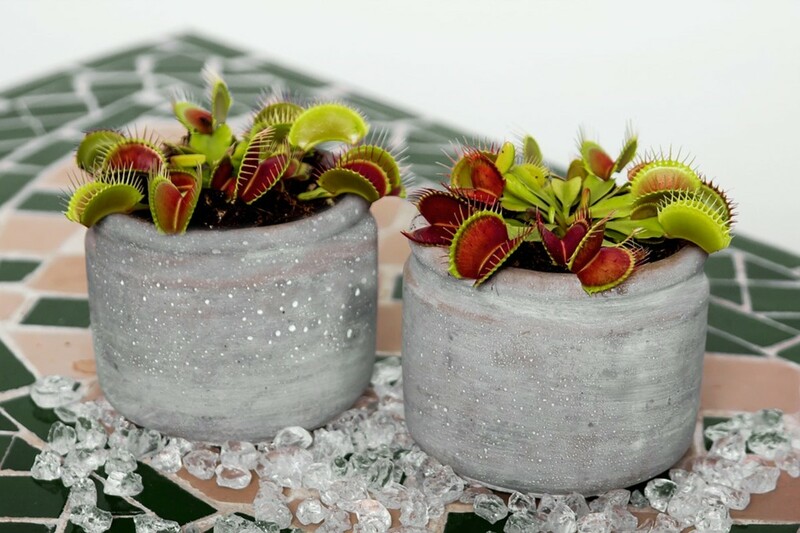 The scientific name of the Venus flytrap is Dionaea muscipula. It belongs to the flowering plant family known as the Droseraceae. 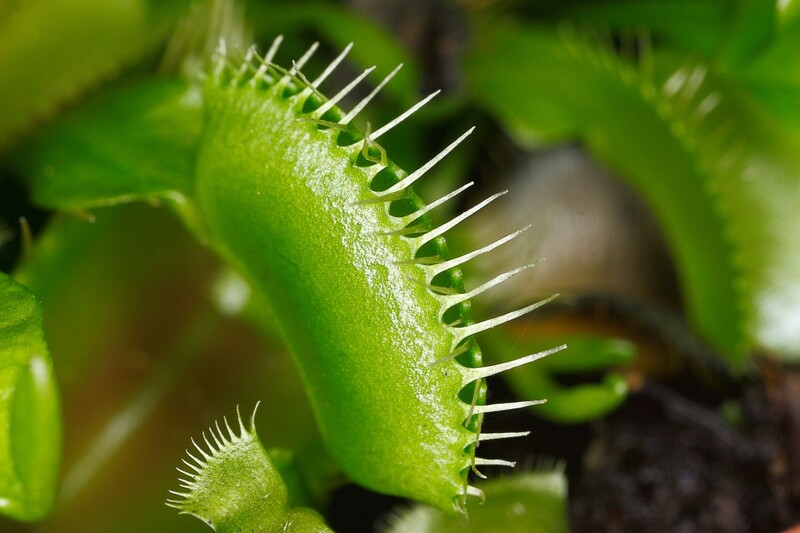 The flytrap and one other species (the waterwheel plant) are sometimes referred to as snap traps due to their method of catching prey. The leaves of the Venus flytrap are highly specialized. They grow in a rosette that is produced by an underground stem known as a rhizome. The first section of each leaf is flattened. It has a narrow base and gradually widens towards its tip. At the widest point of this section is a short stalk that attaches the trap to the rest of the leaf. The trap consists of two lobes with a hinge between them. The hinge allows the lobes to come together as the trap closes. The edges of the lobes have long spikes that keep the prey captive. The trap is green on the outside and deep red, pale red, or green on the inside. The overall effect is reminiscent of an animal's jaw and teeth. 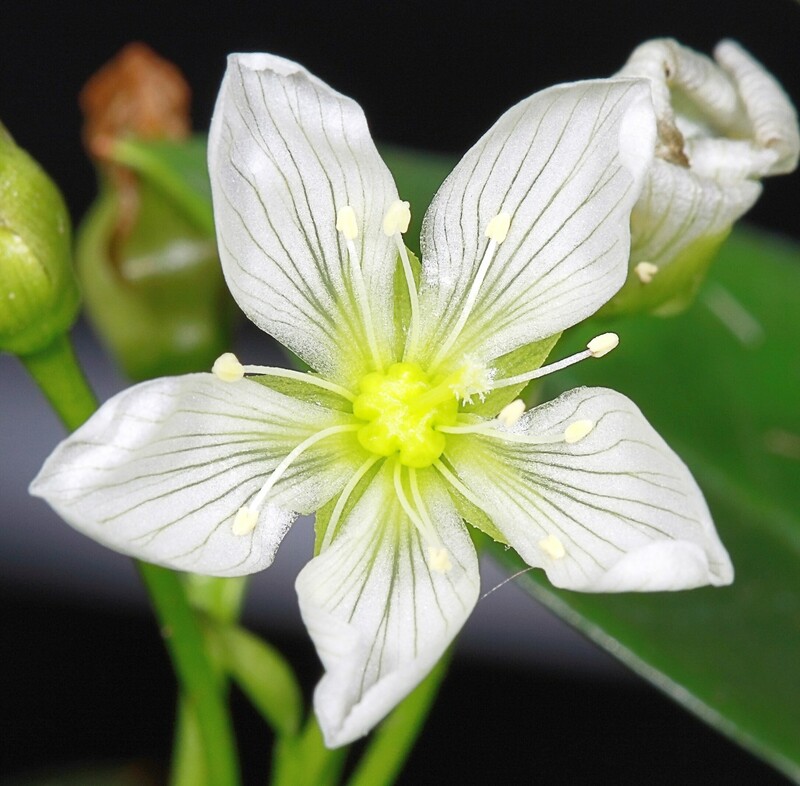 The flowers of the Venus flytrap have a green centre and white petals decorated with green lines. They are pollinated by insects. The flowers are borne on tall stalks that extend far beyond the leaves. This may prevent pollinating insects from being trapped by the plant. The fruit is a green pod that is roughly rounded in shape instead of being shaped like a pea pod. The pod opens to reveal shiny black seeds. 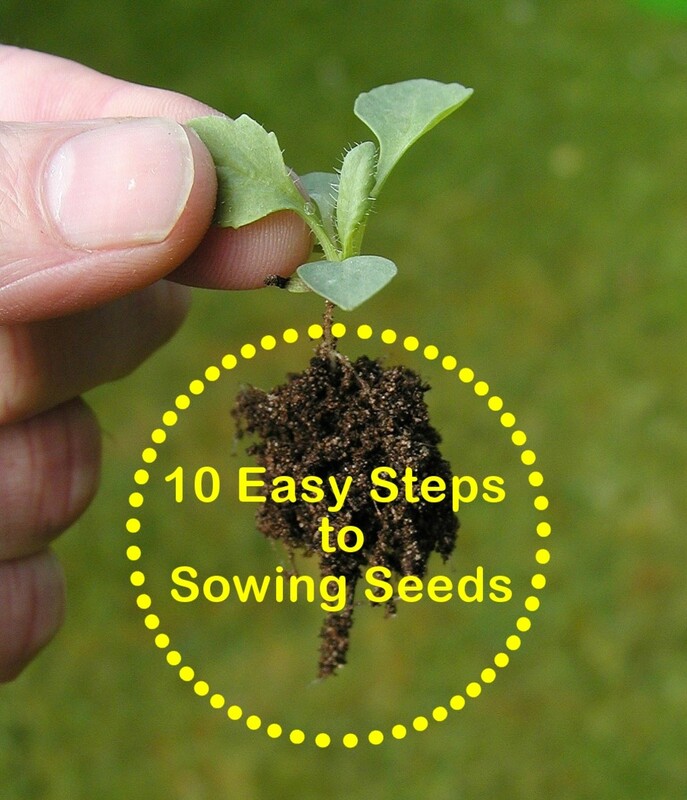 Each seed is rounded at one end and pointed at the other. The plant is named after Venus, the Ancient Roman goddess of love and beauty. 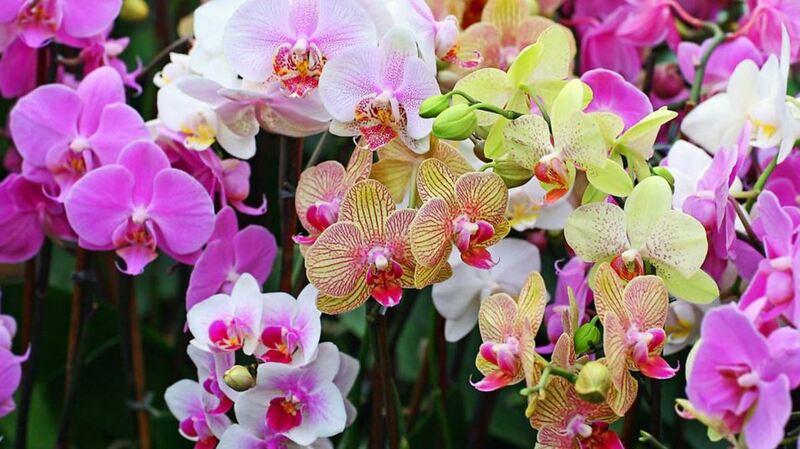 The name may have arisen due to the beauty of the flowers. The trap secretes a sweet nectar that attracts prey. The prey animal is generally an insect but may be a spider. There are four trigger hairs on the interior surface of each lobe. The trap doesn't close the first time that a trigger hair is stimulated by the prey. If there is another hair stimulation within about twenty seconds, however, the trap is sprung. It sometimes closes in as little as a tenth of a second. The trap doesn't close completely at first, which allows smaller prey to escape. This behaviour may have developed because it prevented the plant from digesting prey that supplied little nutrition. The trap soon becomes an impenetrable chamber, sealing the fate of its victim. In contrast to the rapid capture of the prey, digestion is a lengthy process that takes about five to ten days. The products of digestion are absorbed and used. The plant is unable to digest the tough outer layer of an insect, which is known as an exoskeleton. When the trap opens, the exoskeleton is blown away by wind or washed away by rain. The trap is then ready to capture prey again. After three or four captures, the trap (but not the plant) dies. How Do the Traps Close? Unlike humans, the Venus flytrap doesn't have nerves to transmit electrical signals or a brain to respond to them. Nevertheless, electrical signals are generated in a stimulated trap and travel along the surface of cells. In addition, the plant responds appropriately to the signals, even though it doesn't have muscles. The full details of trap action are unknown, but some interesting facts have been discovered. According to a research team led by Dr. Ranier Hedrich at the University of Würzburg, one touch to the trigger hairs elicits no response. This is advantageous for the plant, since it reduces the chance that it will respond to debris or water drops that land on the open trap. A second touch within fifteen to twenty seconds creates an electrical impulse known as an action potential. This impulse causes a large amount of water to enter the cells in the trap, which changes their shape. As a result, the trap closes. The studies of trap action indicate that in essence the Venus flytrap counts and remembers. It doesn't perform these actions consciously, however. After a trap has closed, the plant continues to "count" and respond to trigger hair stimulation. A third touch to the hairs causes the trap to produce a hormone called jasmonic acid. The hormone triggers the digestive glands in the trap to make enzymes. Subsequent touches to the hairs cause digestive enzymes to be released from the glands. 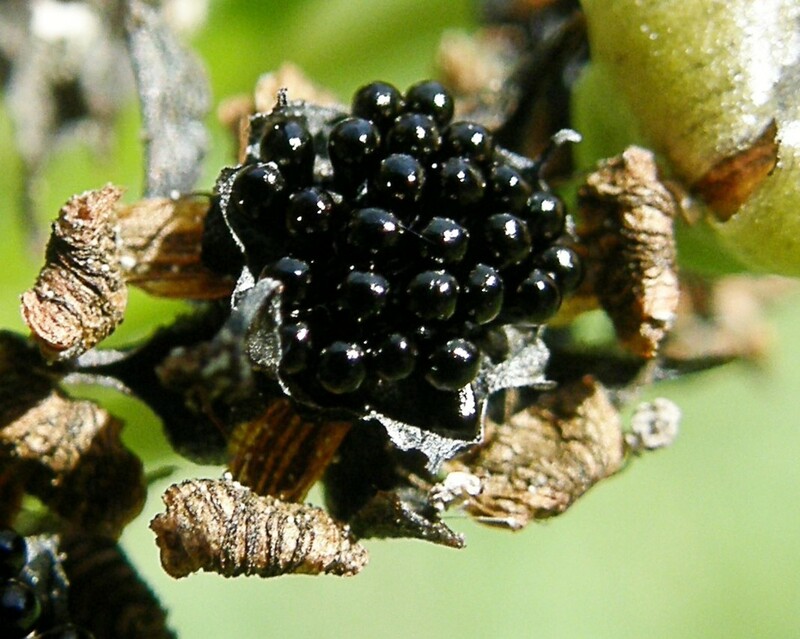 The enzymes break down the tissues of the prey, providing nutrition for the plant. Jasmonic acid is also found in many plants that aren't carnivorous. 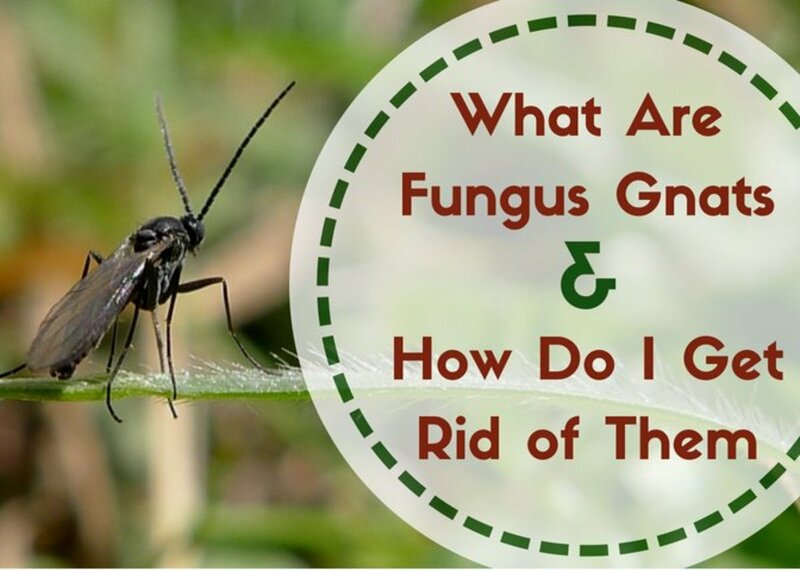 Here it stimulates the production of enzymes that destroy insect pests. It's interesting that the hormone serves related functions in different types of plants. In 2018, scientists at North Carolina State University announced that they had discovered that the native Venus flytraps in their area don’t eat the insects that pollinate them. They are still investigating the plant features that prevent the destruction of pollinators. 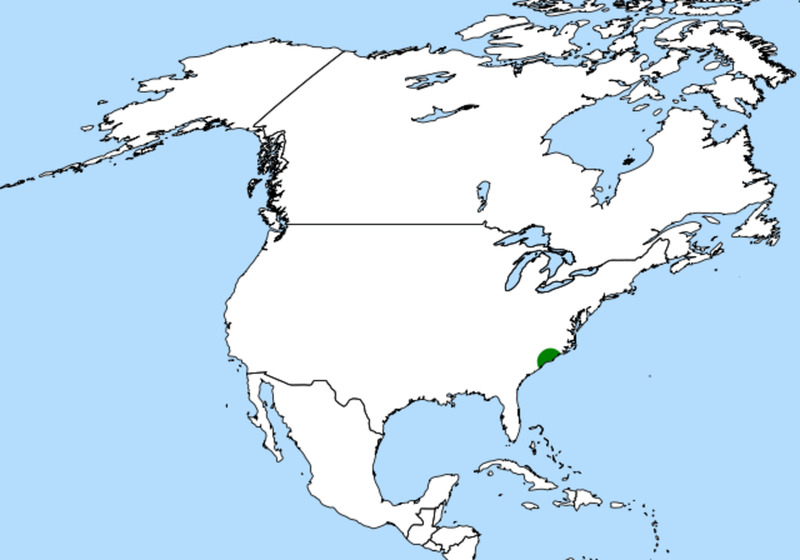 In the wild, the Venus flytrap is found only in the southeastern part of North Carolina and the northeastern part of South Carolina. Its population is decreasing due to development and poaching. The bogs where the plants grow are being drained and covered to create land for humans. Another problem is that some people collect large numbers of plants to sell. The Venus flytrap is unlikely to become extinct in the near future due to its cultivated population. Researchers say that they are currently more plants in homes and gardens than in the wild. There are drawbacks to the existence of a species only in captivity, however. It's sad when the biodiversity of the planet is decreased. There may be practical problems with loss of biodiversity as well as emotional ones. If a plant exists only in a cultivated form, its natural evolution is disturbed and is replaced by selective breeding by humans. Scientists are discovering that plants in nature often have beneficial characteristics for humans. The potential benefits of a plant may be lost in captivity. Snaptraps have only evolved once in the 3.7 billion-year history of life on Earth. This species is native to just one area of North America, and represents a unique and fascinating offshoot in the tree of life. A Venus flytrap is a fascinating plant for people to have in a home, especially for children. 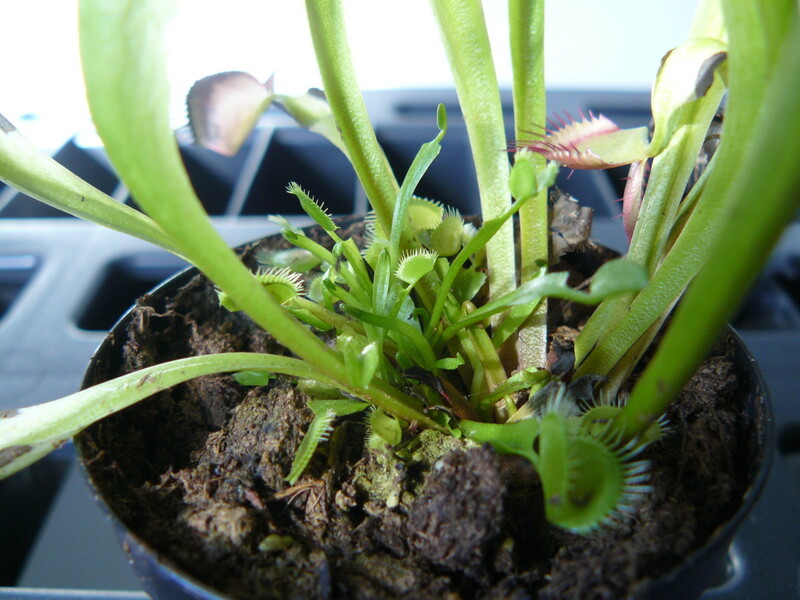 It's important to buy a flytrap from a reputable nursery that sells only cultivated plants. This will help to protect the wild population. Another advantage is that nursery staff will probably be able to offer advice about keeping the plant alive and healthy. The plant is a perennial and requires moist, acidic soil that mimics the substrate found in its natural habitat. It also requires a periodic meal of a live insect. Flytraps take a long time to grow from seeds, so cultivated plants are usually produced by other methods. Division of a plant at suitable times of the year is sometimes used to produce new individuals. The plants are also generated by a process known as tissue culture. This involves the stimulation of a small piece of plant tissue in a lab. The tissue is supplied with nutrients and treated with hormones that stimulate root and shoot growth. Cultivated plants are interesting and often enhance our lives. Wild populations are also important, however. As the scientist in the quote above says, snap traps (or snaptraps) have evolved only once on Earth. The Venus flytrap is a unique plant. It would be a great shame to lose it from the wild. I fed my fly trap some banana. Is this ok? 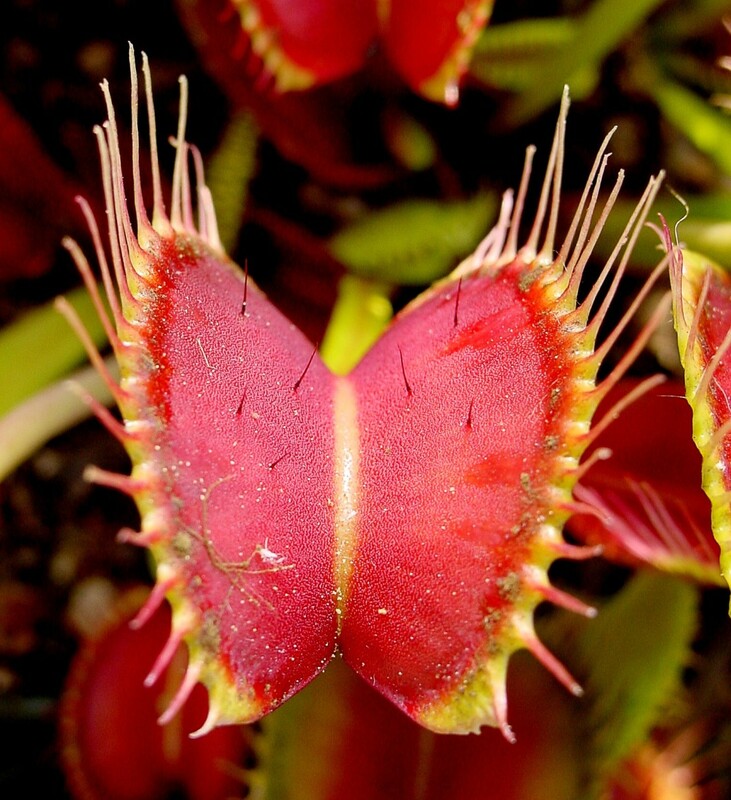 Giving a Venus flytrap human food may harm the leaves. The food won’t be digested and will go bad. Insects and other arthropods that are small enough to fit in the trap are the best food. Dried mealworms and bloodworms bought in pet stores are also suitable. If the prey is dead, it will need to be rubbed over the trigger hairs to get the trap to close. It may be necessary to very gently squeeze the sides of the trap together to get it to completely close. The trap shouldn’t be stimulated except at feeding time. Do you need to cut off Venus Flytrap flower spikes? People with lots of experience at growing the plants say that most of us should remove the flowering stalk, preferably while it’s short. Producing the flowers requires resources and energy from the plant that could be better used for growing and maintaining the leaves. This is important if we bought the plant because of its leaves and its carnivorous ability. Removing the flowering stalks allows the plant to grow more vigorously. Some people might want to let the flowers grow in order to obtain seeds, but for the rest of us, cutting off the flower stalks is advisable. Thank you very much, Bede. Yes, the trap requires up to a week or more to digest food. 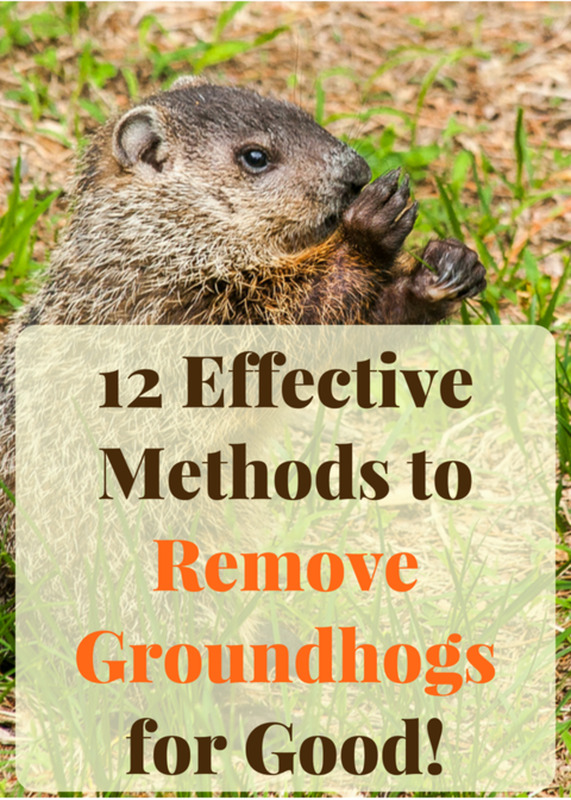 Great and informative article Linda; the first video was especially enjoyable. Does the trap open back up only after 5 -10 days? I agree—Venus flytraps are awesome plants. I can't really describe all the details involved in caring for them in a brief response, but if you search for "caring for a Venus flytrap" in your favourite search engine you should find lots of information. Hi, Alyssa. Thanks for the comment. I suspect your son would love a Venus flytrap in the home! It's an interesting plant for children and adults. Thank you very much for sharing your experience and advice, Alun. I appreciate your visit and comment. Beautifully laid out article Linda. Venus flytraps are fascinating and unique. I have one, as part of a small collection of carnivorous plants which include pitcher plants, sundews, bladderworts and butterworts. All of these use different methods to entrap insects, and their different adaptations and appearances make for an intriguing display. I keep them all in a tray with a peaty compost and sphagnum moss. The only advice I'd give to anyone when first buying a Venus flytrap, other than the advice given in your video, is to check it out carefully. Too many sold in shops are either weak and spindly offshoots, or they are potbound and dry. Make sure it looks fresh and healthy with numerous lush young leaves developing. With the right conditions and care, it should be reasonably straightforward to keep, if it's healthy to start with. I appreciate the comment and the pin, Rachel. I hope you find another Venus flytrap soon. They are interesting plants to have in a home. Blessings to you as well. Hi Alicia, I have had several Venus Fly Traps, years ago. I actually don't remember what happened to them. I know I never knew they produced a flower or fruit. If I see one around, I will get it again. I loved the pictures. Blessings to you. I also pinned it. Thanks for the comment and the interesting story, Nell! Carnivorous plants do seem unusual. They are fascinating as well as odd. I love this plant! every time I have ever gone to a flower show or gardening shop that sells them I stand there for ages just touching it so that it closes! lol! not sure if this is the one, but there is a tale of one of these flytraps supposedly first growing near a huge meteor hole somewhere in america I think, people presumed that they were some sort of new folliage come down on the meteor! I will have to go look it up! lol! Thank you very much for such a lovely comment, Docmo. I appreciate your kindness. Fascinating article Linda ( AliciaC) great pics, interesting facts and brilliantly put together. Nice to see it appear on the network site. well done. Hi, Larry. Yes, the plant has fascinated me ever since I first learned about it when I was a child. I hope it survives in the wild. Thanks for the comment. From childhood this plant has always captivated my imagination. Sad to hear it's struggling. Thank you very much, Happymommy2520. I appreciate your visit and comment. Interesting article. I would love to see one of these plants. I don't recall ever coming across one. You are a great writer! I agree, Penny. I hope the plants survive in the wild. I would hate to see them disappear. Thanks for the visit. It would be a shame to lose them in the wild! Such a fascinating plant. Thanks for the comment, Manatita. I feel sorry for the prey when I see it trapped by the plant. It's an unfortunate ending for the animal, but it's good news for the plant! What a fascinating piece of action, Alicia, and quite scary really. Poor flies or bugs. The trap seems intelligent! It sometimes seem to wait until at least two foes are inside then snaps shut quickly. Are you sure it's not a scholar? I know very little about this and the language is deep, but your pictures and video are very revealing. Kudos to you. Thank you for the kind comment and for sharing the information, Martie. Hi, Mel. Thank you very much for the interesting and kind comment. Your second paragraph is thought provoking! I think that you've raised some valid points. Another fascinating article. I could have used a flytrap or two the other day, when I was working in the yard and kept getting bothered by a pesky fly coming off my neighbor's garbage. Anything that kills flies is a friend of mine, although I suppose flies are ultimately important too. We say that the flytrap does not count, that it cannot think, but what is our definition of thinking? 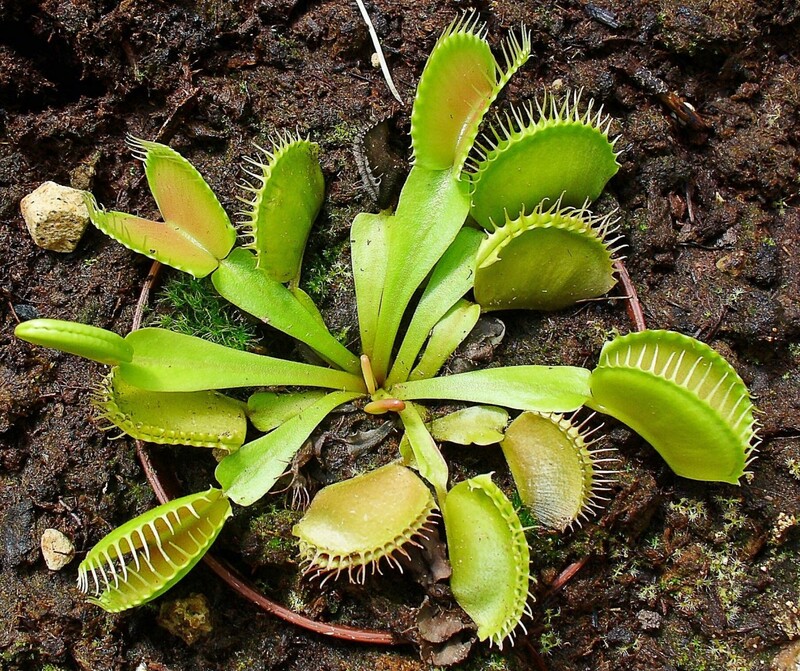 The counting that occurs in our own heads is a biochemical process, just like the flytrap's. Even scientists tend to measure nature with a human yardstick, and this can have negative repercussions for plants and critters. I love your articles. I always learn something different. Hi, Bill. There is a gruesome aspect to the plants, even though they are so interesting. Not everyone would be happy feeding their plant with live food! Thank you very much for such a kind comment, Buildreps. I appreciate it a great deal. Carnivorous plants do have some of the appeal of dinosaurs. They are unusual and intriguing. Fascinating article about a fascinating plant, Alicia. It seems to me like a sort of not yet extinct dinosaur in a new world. Keep up your awesome writing! Your shop sounds like it was very interesting, Nadine. I appreciate your visit and comment. 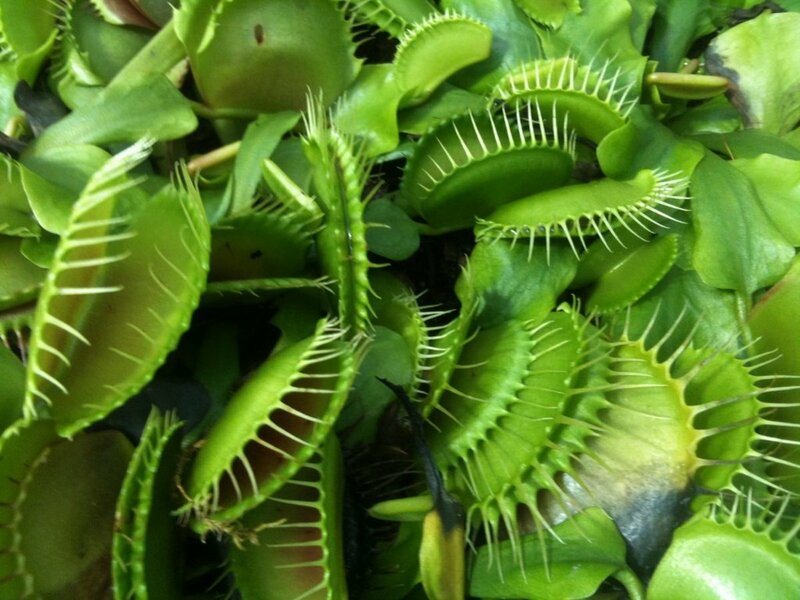 During the eighties I own and run a succulent and unusual plant & shop and I sold lots of these Venus fly trap and other carnivorous plants to young students. Years later the movie Avatar must have been inspired by carnivorous plants. Interesting article. Thanks for the interesting comment, sallybea. Carnivorous plants are definitely fascinating! These are fascinating plants which appear to be gaining popularity in the UK. As a child growing up in SA I recall my parents having a large one which looked just like a star. It had the texture and look of a piece of meat and smelled just like rotten flesh. The flies loved it and of course, the plant flourished on its carnivorous diet. I'd hate to see it disappear, too, Flourish. It's such an interesting and unique plant. Land use by humans is becoming a big problem. Thank you for the visit. I recall having these as a child. Although I grew up in northern SC, I've never seen one in the wild. Land development is taking away a lot of treasured resources; too many people. I'd hate to see it disappear.